Jean Muris is Professor in Family Medicine and Director of the residency training family medicine at the Maastricht University, Maastricht, the Netherlands. 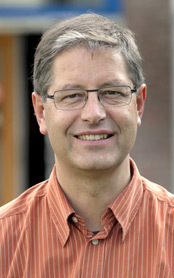 He coordinates also a research group in the research school CAPHRI and is involved in studies on colorectal cancer screening, and IBS (www.caphri.nl). He has been participating in the guideline development program of the Dutch College of General Practice, and co-authored the future 2022 strategy of the College. He is a steering group member of the European Society for Primary Care Gastroenterology, and member of the educational committee of UEG.